Many pundits have compared Donald Trump’s campaign to that of Patrick Buchanan in 1992, including both in the mainstream media and in this analysis at National Review. Xenophobia has been prominent in both campaigns. Donald Trump previously criticized Buchanan’s views, even saying, “Clearly he has a love affair with Adolf Hitler, and that’s sick.” Now Buzzfeed reports that Donald Trump Praises Man He Once Called A Neo-Nazi. Pat Buchanan gave a fantastic interview this morning on @CNN – way to go Pat, way ahead of your time! 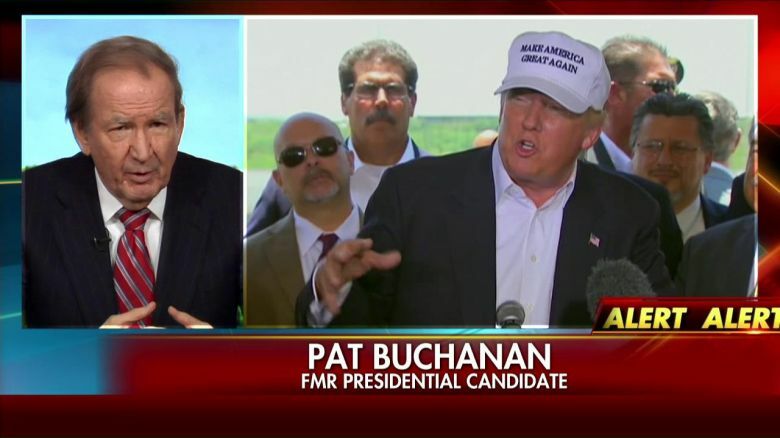 Trump, oddly enough, said Buchanan had said too many outrageous things to be president. “Simply put, Pat Buchanan has written too many inflammatory, outrageous, and controversial things to ever be elected president,” wrote Trump in his book. As previously noted by BuzzFeed News, Buchanan’s 2000 platform was identical to Trump’s in a number of ways. Buchanan was a protectionist on trade, used harsh rhetoric on immigration, wanted to limit donor influence in politics, and spoke loudly against Washington corruption. As scary as it is to contemplate, a Trump victory is not impossible. He is clearly basing his message at this point in the campaign on attracting a segment of the Republican base which he believes could give him a victory for the nomination. There is no doubt that he will change his message for the general election, and many voters have a short enough attention span to allow a showman like Trump to get away with it. Two recent polls, here and here, also show that Trump could beat Clinton. Another recent poll shows both Clinton and Sanders beating Trump, with Sanders winning by a bigger margin. Sanders was not polled against Trump in the two more recent studies.